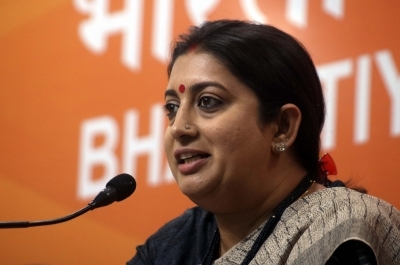 New Delhi, Feb 5 (IANS) The government said on Tuesday that it is in touch with the US authorities to ensure humane and dignified treatment of Indian students detained in that country for enrolling at a sham university, saying the Indian embassy and consulates have obtained consular access to 117 of 129 of them. An External Affairs Ministry release said the government is closely monitoring and taking proactive measures to deal with the detention of Indian students. "According to US Government statistics, 129 Indian nationals had been administratively arrested as on January 31 in connection with their enrollment at the 'university'. As on date, our embassy and consulates have obtained consular access to the 117 of them, by proactively visiting 36 different detention sites through the length and breadth of the country," the release said. It said consular access to the remaining students, around a dozen, was continuing, including through the 24/7 helpline set up by the Embassy and outreach to the community. The ministry said that the students were also being extended assistance in obtaining legal advice and connecting them to community support services. "We remain in touch with the US authorities, both at the federal and local level, to ensure and satisfy ourselves about humane and dignified treatment of the Indian students and custom-sensitive dietary and living arrangement for them during the period of their detention," it said. The ministry said the government continues to attach high priority to the well-being of the detained students and will remain constantly engaged with the US authorities and other stakeholders to address the issue. India had last week issued a demarche to the US asking it to release at the earliest Indian students detained in connection with their enrolment in a fraudulent university and not to deport them against their will. It had said that students, who may have been duped into enrolling in the 'university', should be treated differently from those recruiters who have duped them. The students were detained following detention of eight recruiters and some students over an alleged immigration fraud detected by a fake university sting operation set up by government agencies to crack down on visa scams.